Peony Parcel Mother's Day Special: Discount Code + Free Shipping! As you might remember, I am a fan of the luxury Australian subscription box Peony Parcel (and not just because the owner is a friend of mine, but you know, that helps). I'm pleased to bring you news that will help you cement your position as the favourite child . . . 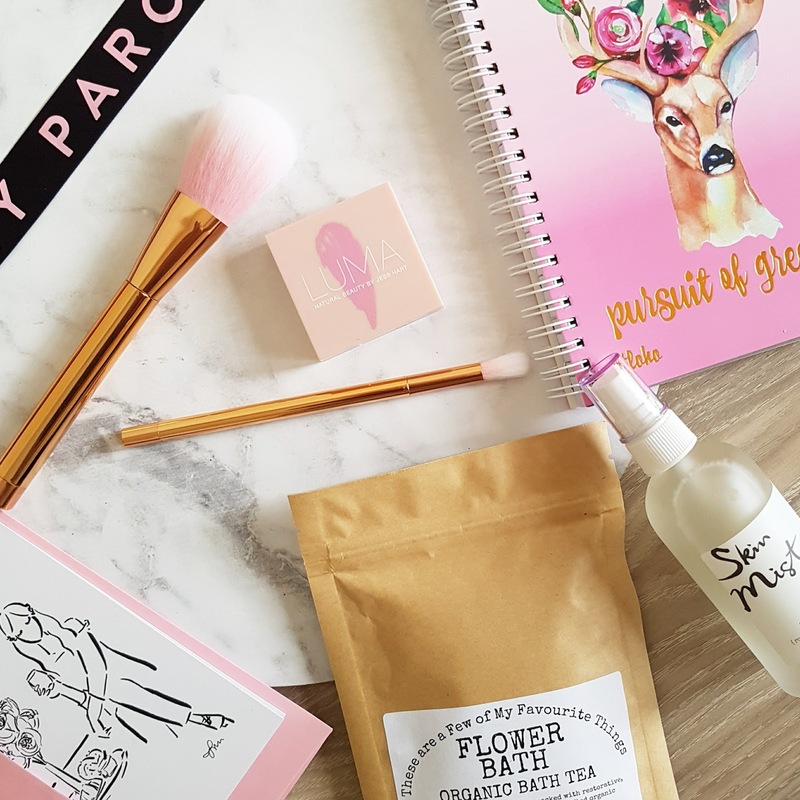 This year, for Mother's Day, why not treat a mum (either yours or somebody else's, even yourself) with one of the Peony Parcel special Mother's Day gift editions? It's easy to purchase a one-off gift box and a great way to road-test before committing to a subscription. Peony Parcels are great value for money; beautifully presented gift boxes (no wrapping required!!) that contain products of value well exceeding the spend per box. They also understand that budgets are different for everyone and have released both "grande", "mid" and "petite" versions of their Mother's Day special editions so you can still give a value-packed luxury treat in a delightful way that suits your bank balance. Keep reading to save a further $10 off . . .
As an Australian company committed to showcasing the best in emerging Australian brands, this is also a great way to support local and small businesses . . . twice! 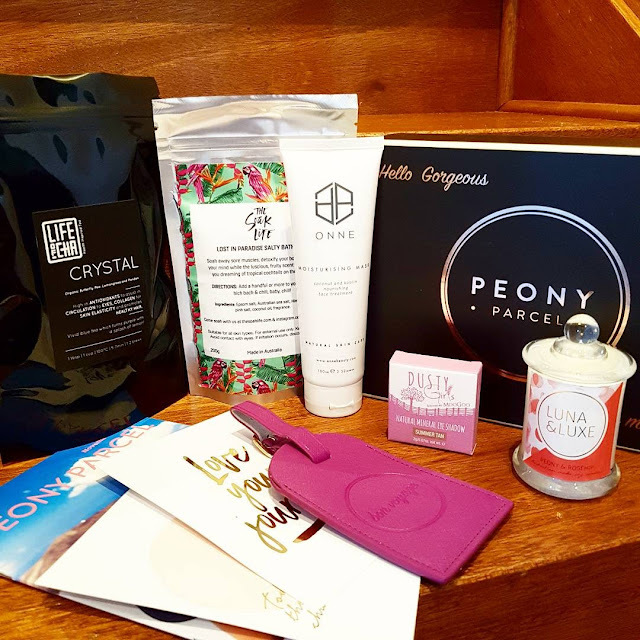 Here's a look back at previous editions of the Peony Parcel so you know what to expect. As promised, I'm pleased to share with you an excellent deal. Use code GIFTSFORHER to get $10 off and free shipping! Each box also comes with a blank Typoflora greeting card. Seriously, it could not get any easier. All you need to worry about is getting your order in before Wednesday May 3 to guarantee arrival in time for Mothers Day. 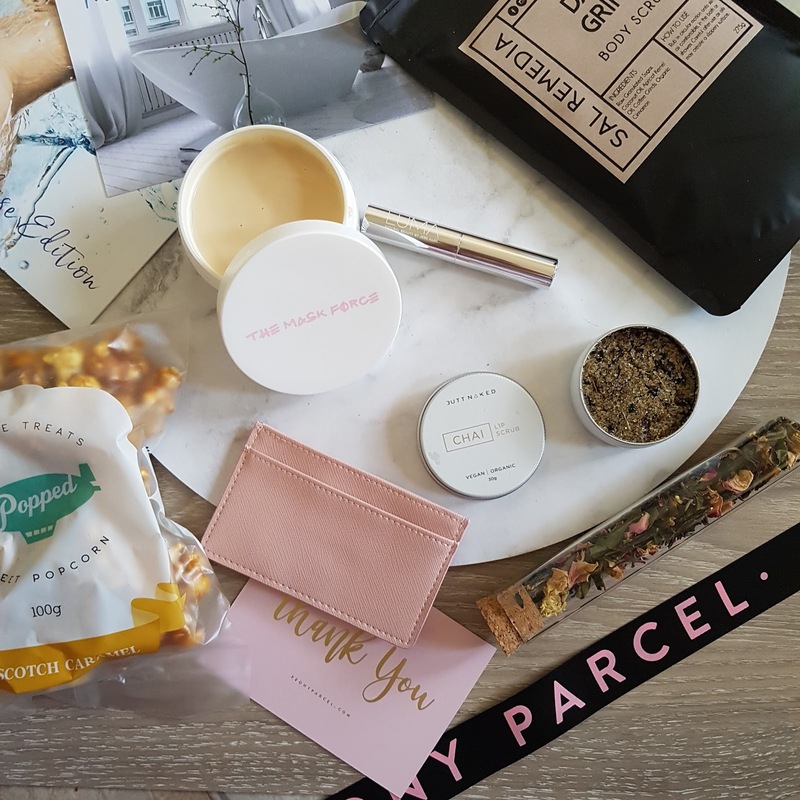 Have you tried or gifted a Peony Parcel yet? What are your plans for Mother's Day? These Peony Parcels were kindly gifted to me. Images, opinions and positive feels are my own. For more information, please see my PR & Media policy.